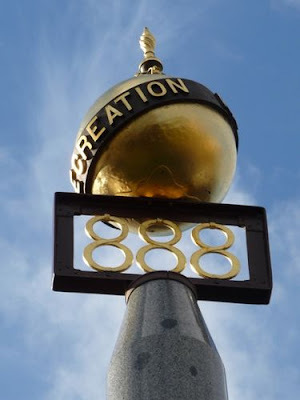 This weekend is the Labour Day long weekend in Melbourne (and in most of Australia), so I thought it would be a good time to have a look at the origins of this holiday. Like most of our long weekends, Labour Day is a commemoration but, unlike many of them, this links us globally to many other Western countries, most of whom mark a similar occasion somewhere in their calendars. The origins of Labour Day are linked to the beginnings of the organised labour movement, and some courageous and principled folk who demanded fairer treatment for workers. 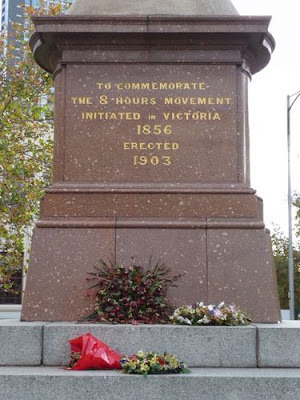 And in Melbourne, the first of these working groups to demand better conditions were the local stonemasons, lead by a tough and determine Welshman. Trade Association banner, Melbourne, 19th century. 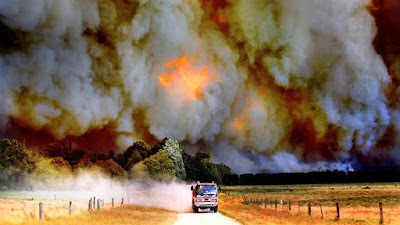 Melbourne started as an agricultural outpost in 1835, with a small city centre and limited industry. But, as the city expanded rapidly, especially during the gold rush of the 1850s, the city also began to modernise. This brought new industries, and new jobs, in manufacturing, mining, and public works. One of gold rush Melbourne's biggest growth industries was construction. Awash with cash, and the newly wealthy purveyors of it, the city effectively set about rebuilding itself. The low, often wooden, and very basic buildings that had been constructed during the city's foundation years were largely removed, and replaced by grand edifices, many stories high and largely built of stone. It was a boom time for Melbourne's stonemasons but, despite high demand for their services, they suffered the same treatment as the city's factory workers; low pay, dangerous conditions and very long hours. James Stephens: Stonemason and labour activist. Born in Wales in 1821, Stephens followed in his father's footsteps and became a stonemason as a teenager. In 1839 he was seriously injured when he fell from a construction site scaffold, and the lack of assistance available to him while he recovered helped steer him towards the organised labour movement. Once he regained fitness, Stephens joined the newly formed 'Chartists', a political protest group that drew support from the skilled trades. The Chartists were named for their support of 'The People's Charter'; a political manifesto produced by six radical members of Parliament that called for electoral reform and better conditions for workers. Chartist demonstration, London, early 1840s. Chartism grew and spread rapidly, from its origins in the working class north to England's major cities. 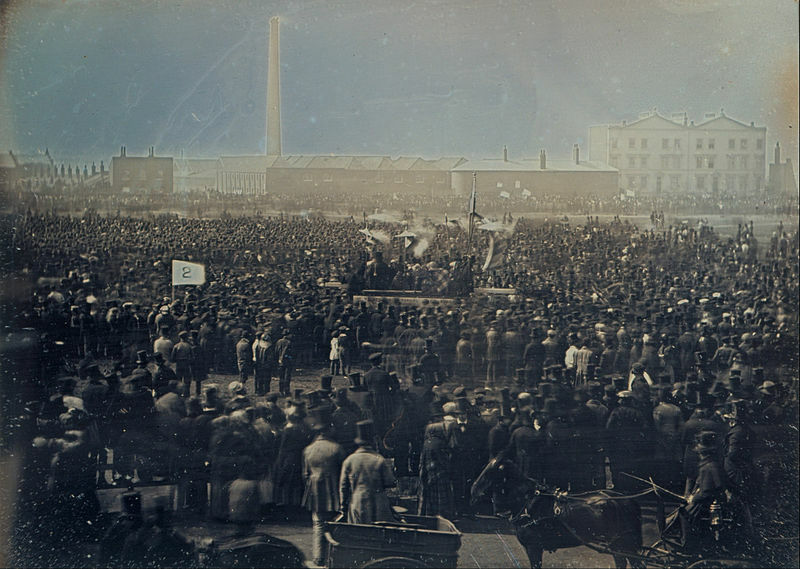 Stephens moved to London in the early 1840s, from where he was able to see the movement at its peak; several enormous demonstrations were organised, and a petition of 3 million signatures was submitted to Parliament, demanding action on the groups reform agenda. Stephens became a zealous organiser of his fellow stonemasons, and was considered a minor leader within the movement. But the controversy attached to Chartism came at a price; he was sacked from a lucrative job working at Windsor Castle when his affiliation was discovered. Other Chartist leaders called for strikes and civil disobedience and were arrested, which lead to rioting and violent confrontations with police. Meanwhile, the movement was frustrated politically. Their petitions, which now also included a call for an 8 hour work day, were rejected by Parliament, and they saw no significant progress towards their objectives (most of their program would eventually be adopted, but not until 1867). Looking for fresh opportunities, Stephens, like many Chartist tradesmen, was lured to Australia in 1853 by the gold rush. Arriving in February 1853, Stephens energetically set to work in the local construction industry. Work was plentiful, but conditions were nearly as poor as they had been in England. While disgruntled, the local tradesman were not politically organised and Stephens, with his Chartist experience, was a natural authority figure. 8 hour day demonstration, Melbourne. In February 1856 Stephens, and local tradesman James Galloway, formed the Operative Masons Society at the Clark Hotel in Collingwood. The objective of this group was simple by Chartist standards; to agitate for a mandated eight hour work day. And, after having been in the organised labour movement for nearly twenty years without much tangible success, Stephens was in a hurry. 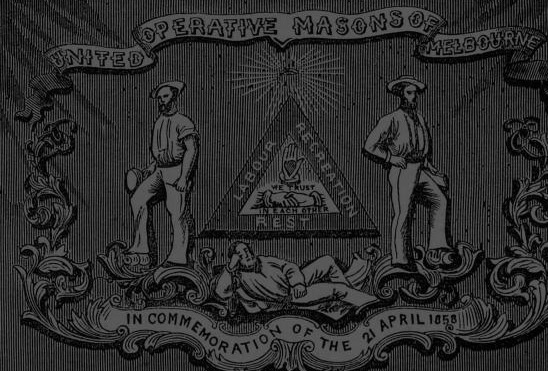 The Operative Masons decreed that the 8 hour day would be in place by April. 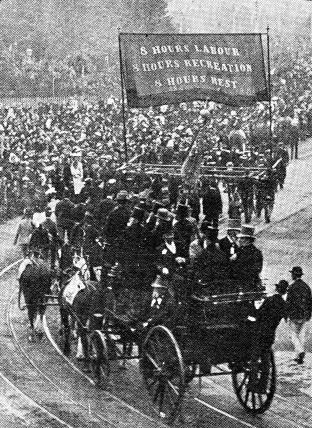 Starting at a construction site at the University of Melbourne, Stephens convinced the workers there to down tools and join him on a march on Parliament in Spring Street. Along the way, they detoured passed several construction sites in the city and picked up more supporters. Eventually, a crowd of a few thousand gathered at the Parliament steps for a noisy and boisterous, though peaceful, demand for an eight hour work day. But Stephens, and the movement's other leaders, had planned this moment carefully. In the weeks leading up to the demonstration, they had met secretly with business groups and Parliamentarians, and had convinced them both of the movement's strength, and the potential for strikes and disruption if they continued to deny an 8 hour day. A Parliamentary delegation met Stephens on April 21, and he was able to inform his supporters that their demands would be met. The group then marched on to the Belvedere Hotel in Fitzroy, where their celebration spilled across several streets. 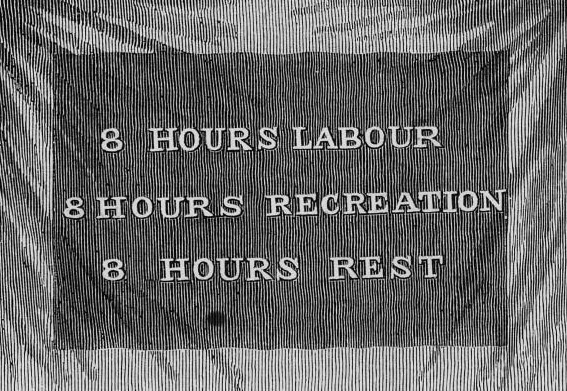 Legislation introducing an 8 hour work day was passed by Parliament shortly afterwards. While this still meant a 48 hour week for most workers, as most still worked six days, this was viewed as a great victory, the first by organised labour in the modern era. A celebratory parade through the city was organised for May 12, and would continue as an annual tradition. 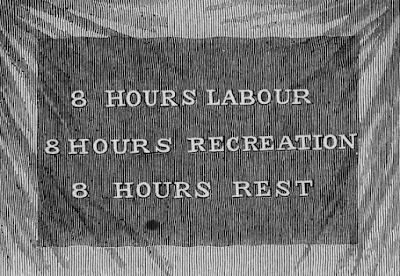 In 1879, the popularity of this event lead the Victorian Government to make this a paid public holiday, dubbed 'Labour Day,' the State's first. John Stephens was lionised as a hero. Sadly, it wouldn't last. 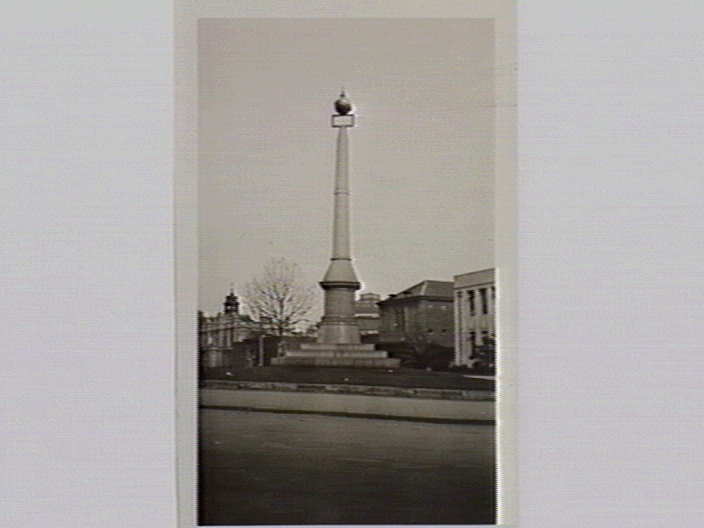 8 Hour Day Monument, shortly after being erected. The top of the monument, commemorating the 8-8-8 slogan. 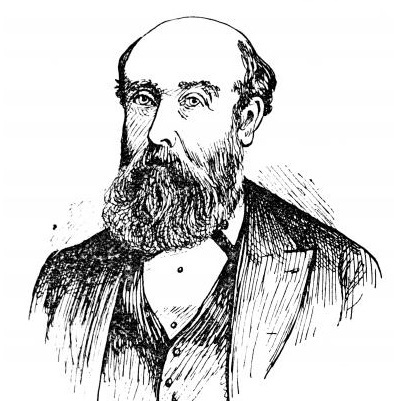 In the years following his great success, Stephens saw the local labour movement he helped found expand and diversify. But Stephens' support for sub-contracting, then a novel idea, alienated him from the movement's newer leaders, who saw it as a way for employers to cut wages. Stephens claimed that his enemies in the union movement had him effectively blacklisted, and he struggled to find work and make ends meet. They also sought to re-write history somewhat, now emphasizing James Galloway's efforts in regards to the reforms of 1856, at the expense of his own. Impoverished, sickly and slowly going blind, by the 1880s Stephens had largely been forgotten by Victorian society. A collection taken up for him by the Trades Hall in Carlton provided for Stephens somewhat in his final years, but when he died in 1889 he was destitute and left no estate. The parade that he helped inspire did not last either. For nearly a century, the Labour Day parade was a fixture in Melbourne, replete with floats, live entertainment and a carnival atmosphere. Large holiday crowds turned out each year to celebrate the 8 hour day, among other subsequent labour reforms. But by the 1930s, crowds were waning, as the great depression created a sombre mood. World War II further diminished the parade's popularity, and it was discontinued altogether after 1951. 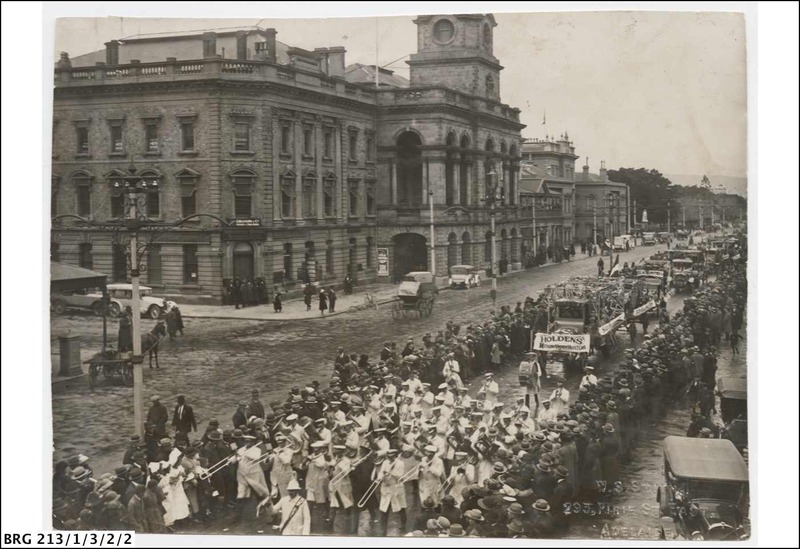 The Labour Day holiday had been moved by this time to March, and is now capped by the Moomba festival instead. But one landmark to the landmark reforms of 1856 remains, on Victoria Street, just opposite Trades Hall. Designed by Percival Ball, and paid for by union subscriptions, the 8 Hour Day monument was erected in 1903. James Stephens is not mentioned.